Leading Manufacturer of onion mesh bag, vegetables mesh bag and raschel mesh bag from Nagpur. 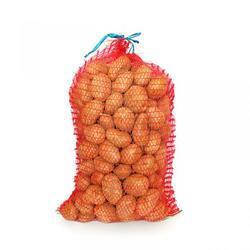 As a prominent organization, we are engaged in offering a premium quality Onion Mesh Bag that is best for packaging, handling and shipping potatoes and onions. The offered onion bag is manufactured from the superior quality material & modern techniques following the set norms of market. 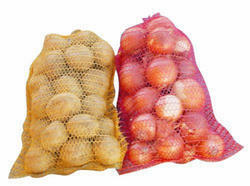 We provide this onion bag in various customized options as per the customer’s choice. The onion bag offered by us is checked on numerous parameters in order to eliminate all possible flaws. 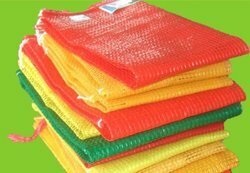 Being a dependable enterprise, we are offering an extensive range of Vegetables Mesh Bag. This mesh bag has the capacity to keep the vegetables and fruits fresh for a long period of time. Offered mesh bag is precisely manufactured from the best quality polypropylene fabrics and latest techniques in adherence with the set norms of market. Customers can avail this mesh bag from us at nominal prices. We are instrumental in offering to our clients with an excellent quality Raschel Mesh Bag. Our offered Rachel bag is ideal for packing various kinds of agricultural produces. This Rachel bag is manufactured using excellent quality material & contemporary techniques under the supervision of experts. The Rachel bag offered by us can be availed from us at reasonable price in a given time frame. Looking for Vegetable Mesh Bag ?